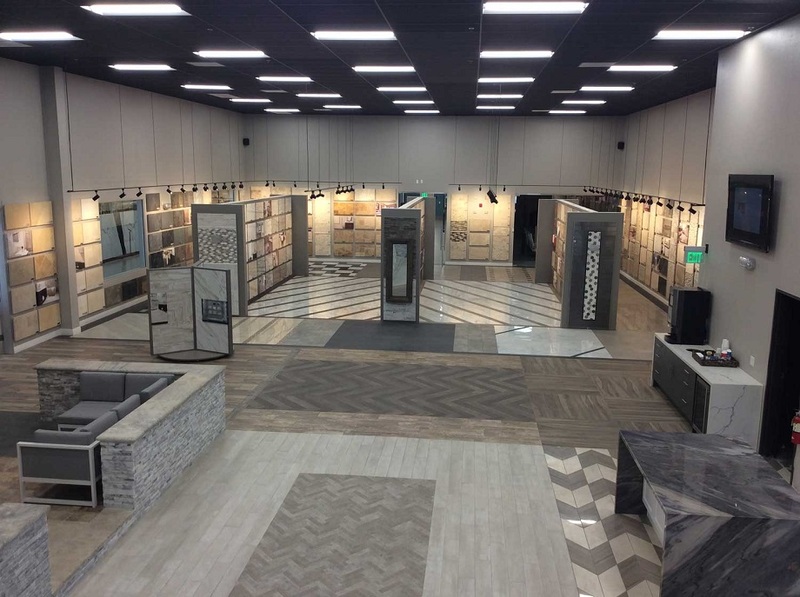 M S International Inc. (“MSI”), North America’s LeadingSupplier of Premium Surfacing Products, recently updated and expanded its Bay Area Showroom and Distribution Center. MSI has doubled the size of its Bay Area Showroom and Distribution Center. Today, it boasts more than 500 surfacing products displayed and inventoried throughout 5,600 sq. ft. of stunning showroom space and approximately 160,000 sq. ft . of total warehousing space. Impeccably styled, new displays and creative installs allow consumers to get hands-on with the products and easily envision them in their homes. New decorative mosaic fixtures further enhance the shopping experience, making it easier than ever to browse over 300 distinctive tiles. An additional 1,500 sq. ft. Q™ Premium Natural Quartz Slab Gallery was also installed — showcasing North America’s fastest growing line of quartz countertops, including several on-trend white and gray colors. Underscoring MSI’s commitment to customer service, the redesigned showroom includes new seating areas and work tables, as well as hosting space for seminars and various industry events. A spacious conference room provides a comfortable space for designers, fabricators, and staff to meet with customers. An open house is scheduled for March 16, 2017. The public is encouraged to stop by and learn about all the exciting new products MSI has to offer. For an immediate introduction to the updated facility, they’re invited to take a Google Tour . These advanced, 360-degree interactive virtual tours make it possible for consumers to browse the tile showroom, slab warehouse, Q™ Premium Natural Quartz Slab Gallery, and more — right from the comfort of their homes. For more information on MSI, visit: www.msisurfaces.com.